Let's complete the tutorial for setting up a home network. Windows 8 is the newest Operating System of Microsoft. 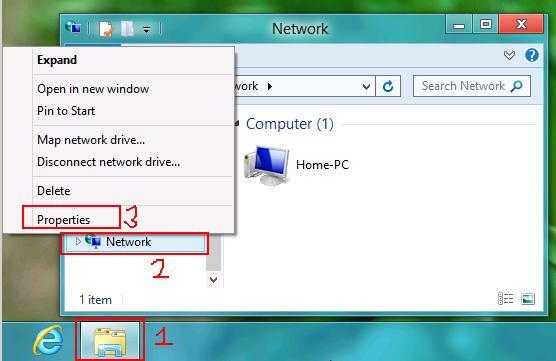 How to configure Windows 8 with Obtain an IP address automatically? 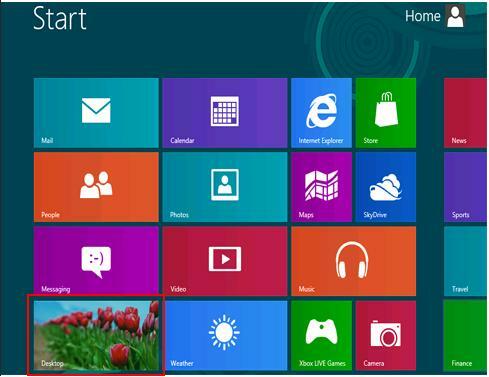 Windows 8 begins with a new cool looking screen which lets you check your mail, music, videos and many more quick access features. There is one window which you will click to get to the Windows 8 desktop. 1.) Click the desktop (bottom left corner). Windows Explorer window opens. Right-Click "Network" and click "Properties"
3.) The Network and Sharing Center window opens. Click "Change adapter settings"
4.) The Network Connections window opens. Right-click "Ethernet" and click "Properties"
5.) The Ethernet Properties window opens. Click "Internet Protocol Version 4 (TCP/IPv4)" and then click "Properties". 6.) 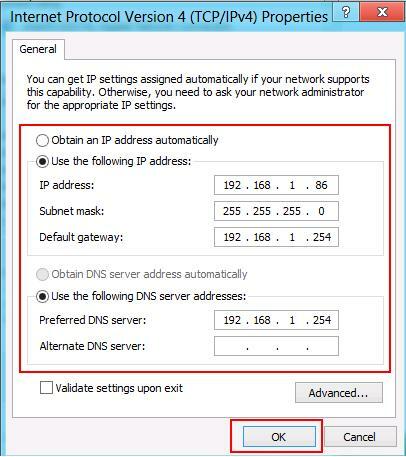 In the next window, make sure "Obtain an IP address automatically" and "Obtain DNS server address automatically" are selected. 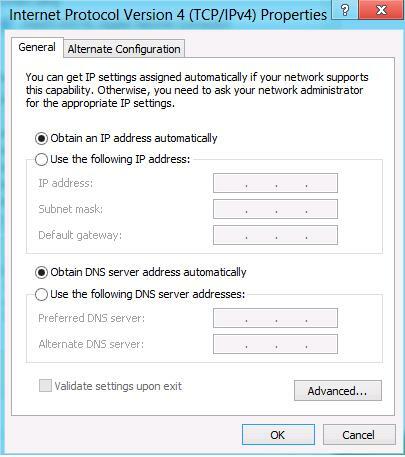 When you set "Obtain an IP address automatically" in the Windows 8 IP Settings, your home router will provide your computer with an IP address. The home router keeps track of which IPs are available and which ones are in use. 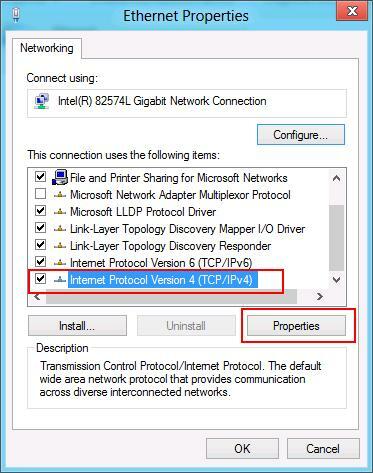 How to configure Windows 8 with a static IP? 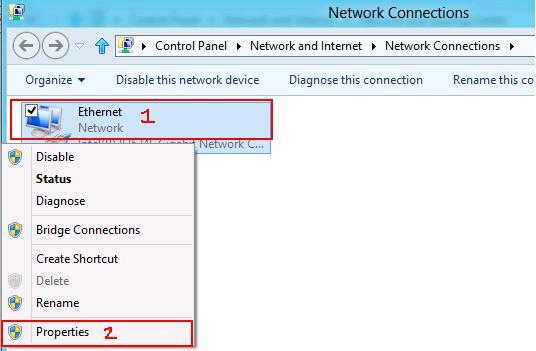 Windows 8 has a faster way to access the network Ethernet adapter settings to configure an IP Address. 1.) In the bottom right corner of the desktop, right-click the "Network Icon". 2.) Click "Open Network and Sharing Center". You have now configured this machine with static Windows 8 IP settings. Test your default gateway by pinging it in the command prompt or going to a website. Your default gateway IP address is usually your local router. This can be your home Linksys router or any other router. Your Windows 8 PC is now configured with the IP settings.....You have now completed the tutorial for setting up a home network.